This 100 page book is the most extensive new forces tome for Warzone to date. Incorporating a ton of material on the Imperial Corporation with new rules and forcelists for ALL other Corporations, the Brotherhood and the Dark Legion. 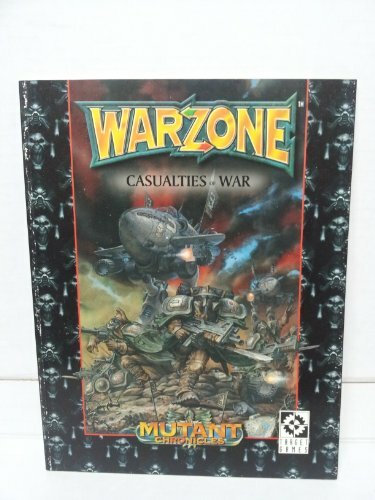 This book is guaranteed to give your Warzone forces a new cutting edge! New Trooptypes and Personalities for the Corporations, The Brotherhood and the Dark Legion. Quick Reference Sheet, Markers and Template - all on heavy stock cardboard!